Some of my “vintage” witchcraft & occult books. Photo by Sable Aradia. Lots of things are happening for me all at once. My book comes out today! It’s my first published book and I’m very excited! 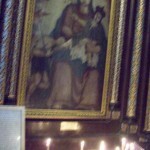 Also, I’ve been offered my own blog here at Patheos; it will be starting very soon. So I think I’m going to save my intended topic from the last column for the new blog, since it seems a suitable subject for it. But speaking of books, one of the most common questions a teacher in the Craft is asked is: “Can you recommend any reading material?” So I’m going to celebrate Pagan publishing by making a list of a few books that I think every Witch ought to read. Some of them are by Pagan authors and some are not. Some are a little scholarly, but since I said “every Witch,” I have deliberately excluded anything that is geared strictly to the academic. Some might require a little explanation as to why they should be included. Please keep in mind that this list is entirely subjective, and in based entirely in my own opinions. I am well-read but no expert, so I’m sure that I will add to this list over time, and maybe there will be more articles on the subject in the future. If you have books to recommend, I’m always excited to find new material, so please let me know in the comments! 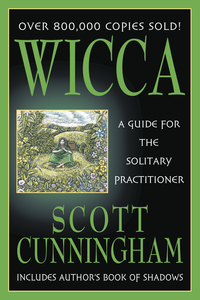 Wicca: A Guide for the Solitary Practitioner by Scott Cunningham – These days most of us started here. And why not? It’s a really good introduction to simple concepts and the Wiccan basics. To Stir a Magick Cauldron by Silver Ravenwolf – This book received scathing criticism in the 90s, but it’s an excellent book that introduces spellcasting and witchcraft in a fun and refreshing way. The Complete Idiot’s Guide to Wicca and Witchcraft by Denise Zimmerman and Katherine A. Gleason – I don’t really know why we’re up to three editions already, but for the essentials of BTW descended witchcraft, this is a great book. The Spiral Danceby Starhawk – No modern study of Wicca and witchcraft would be complete without Starhawk’s classic. I personally recommend the older editions to the newer ones, because a lot of things were added, and it’s the first edition that so thoroughly changed modern witchcraft, especially in North America. Buckland’s Complete Book of Witchcraft by Raymond Buckland – Affectionately known in some circles as “Uncle Bucky’s Big Blue Book,” this is a step-by-step course of instruction for, in particular, coven-based witchcraft with BTW leanings. If you plan to practice exclusively as a solitary there’s some great stuff in this book anyway, like how to make your own athame, but it won’t be as useful to you. Witch Crafting: A Spiritual Guide to Making Magic by Phyllis Curott – If you haven’t read it, this great little book teaches you how to find the sacred in the common and the natural, as well as teaching the Craft. A Witch’s Bible: The Complete Witches’ Handbook by Janet and Stewart Farrar – Originally published as A Witches’ Bible Compleat (spelling deliberate to present illusion of archaic origin,) his book combines two extremely influential previously-published books into one volume, and offers a sample ritual for just about any witchy occasion. It is, however, pure Alexandrian, so may not be as useful to witches with more eclectic or Reclaiming leanings. Evolutionary Witchcraftby T. Thorn Coyle – This is probably the best book on witchcraft published in recent years. And it was nice to finally see some of what the Feri tradition and its descendants were up to. Well worth reading for that alone, even if it weren’t an excellent experiential instruction manual. Wicca: the Old Religion in the New Millennium by Vivianne Crowley – Also published as Wicca: the Old Religion in the New Age, and Wicca: A Comprehensive Guide to the Old Religion in the Modern World, this book teaches the essentials of Wicca in a completely different way, including such important concepts as Dionysian and Apollyon streams in ritual, and chakra and energy work. Witchcraft Today by Gerald Gardner – Do I have to explain why this is on the list? What Witches Do by Stewart Farrar – Read it for a comparison of Alexandrian Craft and a history of Alex and Maxine Sanders. Diary of a Witch by Sybil Leek – Almost certainly a good deal of this is outright bull dung. Read it anyway. Some of it you’ll connect with. Rebirth of Witchcraft by Doreen Valiente – A good history of the early BTW Craft and division from Gardner; as well as some great autobiographical stuff from one of the most influential priestesses and liturgists in modern Wicca. Triumph of the Moon: A History of Modern Pagan Witchcraft by Ronald Hutton – This book completely blew the myth of the ancient unbroken tradition of Wicca right to Annwn. Some people still don’t want to believe it. But it’s a great book and its logic is impeccable, and I don’t think it can hurt to know where we really came from. Drawing Down the Moon: Witches, Druids, Goddess-Worshippers, and Other Pagans in America by Margot Adler – This book was essential for drawing together the developing Pagan community in the US and it is also a good sample of the different Paganisms out there. Her Hidden Children: the Rise of Wicca and Paganism in America by Chas Clifton – This starts where Margot Adler left off and builds a more comprehensive picture of the subject matter. The Goddesses and Gods of Old Europe: Myths and Cult Images by Marija Gimbutas – Though many of her findings have since been challenged by current scholarship, this new way of looking at old evidence helped to build feminist witchcraft. Persuasions of the Witch’s Craft by Tanya (T.M.) Luhrmann – An excellent sociological study of the occult world of London. Also a great self-examination of the process of learning the language of the occult. A Community of Witches: Contemporary Neo-Paganism and Witchcraft in the United States by Helen A. Berger – Kind of the equivalent of Luhrmann’s book for the United States, with observations towards trends of the future. Probably the first book that began to discuss congregationalism in modern Paganism, which until recently most of us pretended didn’t exist, even though it’s been around since the 60s. 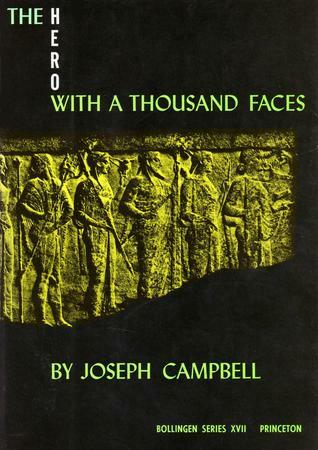 The Hero with a Thousand Faces by Dr. Joseph Campbell – This extension of Jungian psychology captures the essence of world myth and their commonalities, including the theory of the Hero’s Journey, which is the message at the heart of most mystery cults, including initiatory Wicca. Goddesses in Everywoman and Gods in Everyman by Dr. Jean Shinoda Bolen – Though the second isn’t as good as the first, these books also expand on Jungian concepts to help anyone to connect to the deities within. The Witches’ Godand The Witches’ Goddess by Janet and Stewart Farrar – A good overview of our deities and how they’re viewed together and separately. Mythology by Edith Hamilton – Recently re-published with a new subtitle “Timeless Tales of Gods and Heroes,” this is a very good overview of the Greek deities, who are so essential to our theology, seen through the eyes of the Anglosphere. When God Was a Woman by Merlin Stone – This was a highly influential book that was being read by pretty much everybody in the 80s, and it helped make feminism a permanent part of modern witchcraft, regardless of tradition. The Mists of Avalon by Marion Zimmer Bradley – Okay, so the author might be a jerk. Doesn’t change the fact that her book shaped everyone’s idea of what witchcraft might have been, had it actually existed, in the time of King Arthur, had he actually existed. American Gods by Neil Gaiman – Do the gods remain unchanging as they were in the ancient days? Perhaps, but by definition, Wiccan theology believes They change through our interaction with them. In addition to being both entertaining fantasy and a cautionary tale, this book might help you reflect on how our gods would interact in our present society. The Sea Priestess and The Goat-Foot God by Dion Fortune – Any witch with any sort of BTW background will see the origin of the Horned God and the Star Goddess in these tales. And they’re well-written stories as well. 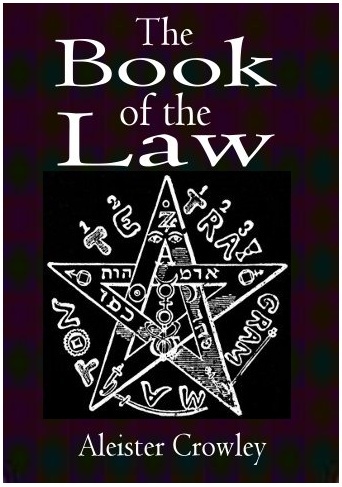 The Book of the Law by Aleister Crowley – It’s been said that Wicca’s origins are in Thelema. Since this is the holy book of Thelema, I don’t think there can be any doubt. Further, I found that reading this gave me a more complete understanding of the Goddess and improved my relationship with Her. You may have noticed a lot of books that you would have expected to find aren’t here; but take heart! Part Two is coming in the next column. Alone In Her Presence: Embodied Living, Tantra and I?